Lullymore Briquette factory closed in 1939 but was re-opened by the Turf Development Board in 1940 because of the fuel shortage during the emergency. 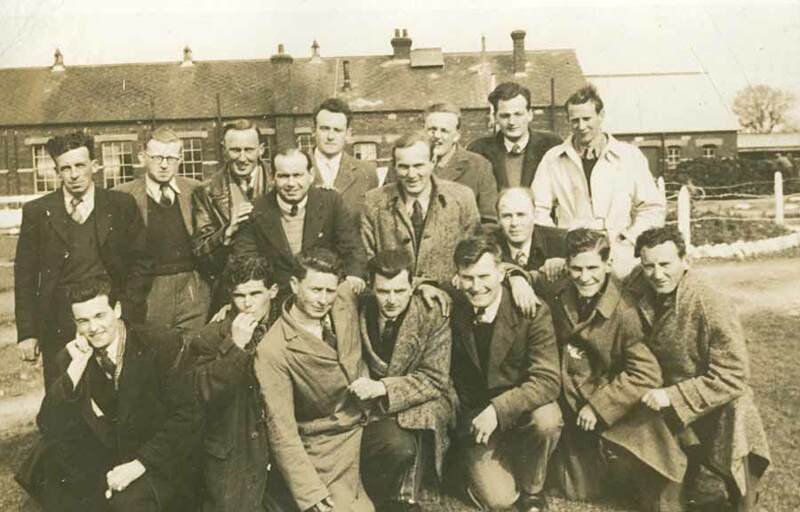 During the Emergency the Kildare hand won scheme was opened to offset the fuel and scarcity resulting from the war. 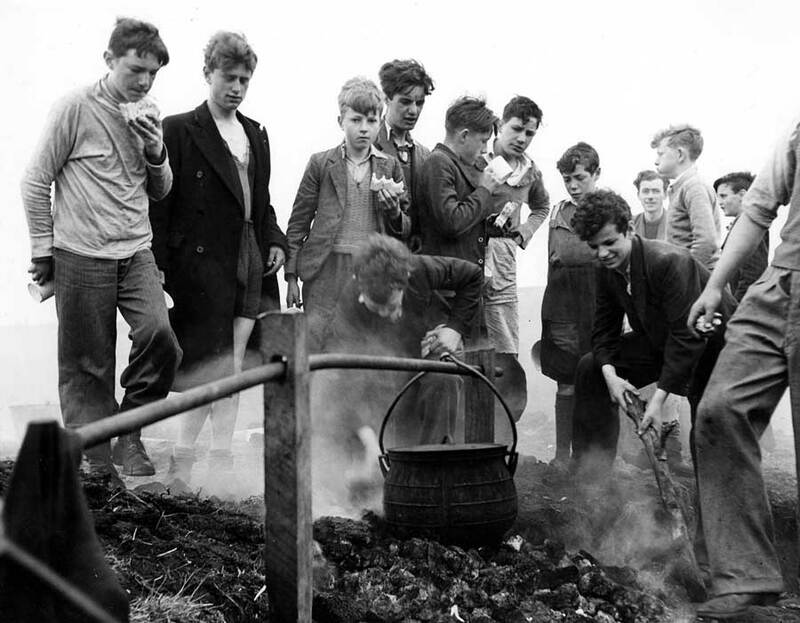 Peat was stockpiled in the Phoenix Park. 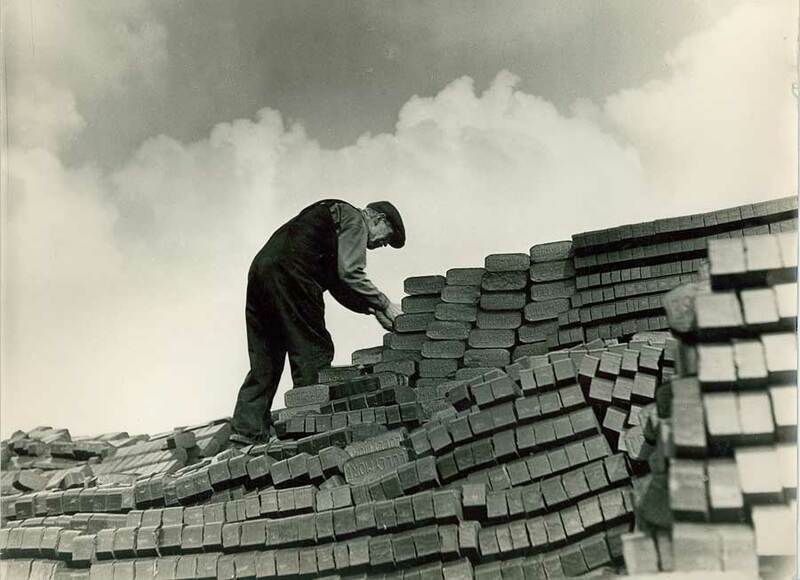 The Turf Development Board built camps and hostels for the thousands of men who migrated to the midlands to cut turf for homes and offices. 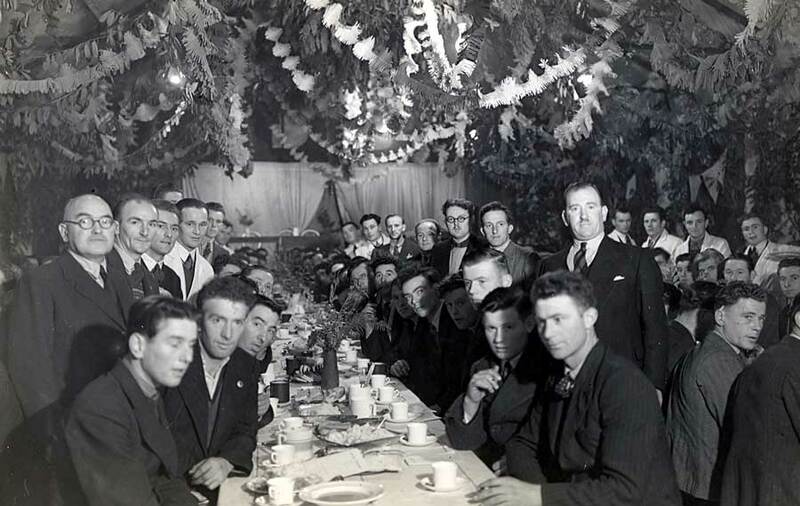 Although the work was hard, sports and other social events were organised for the men who worked on the Kildare scheme. 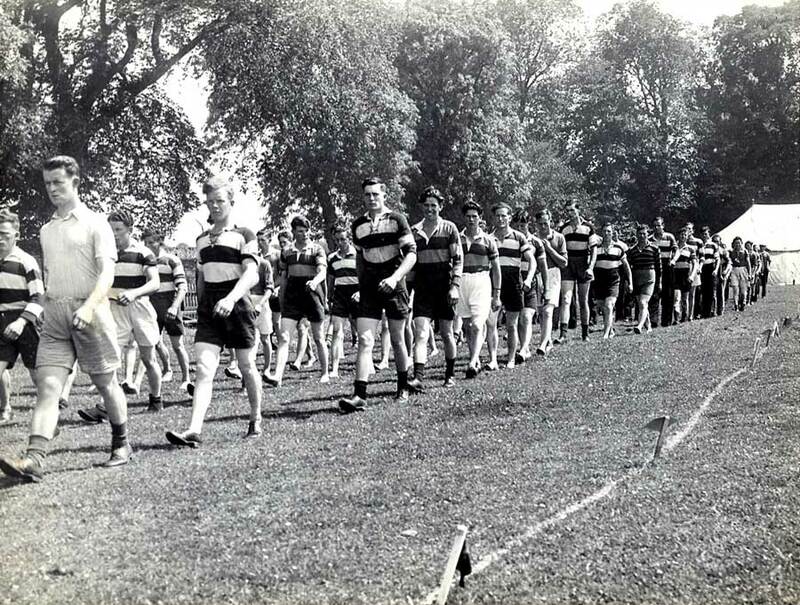 Hundreds of boys worked footing turf. For many it was the first money they ever earned. 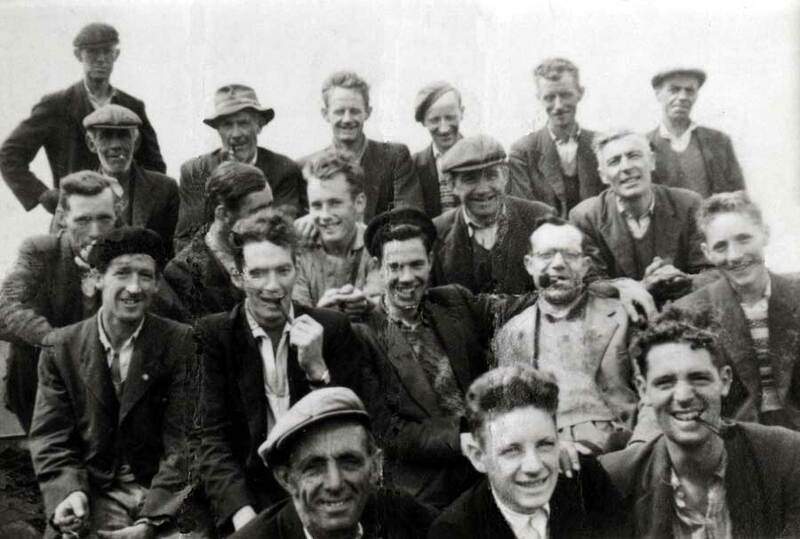 Men came from all over Ireland to work in the camps, many of whom couldn’t speak English. Feeding hundreds of men was a difficult job. 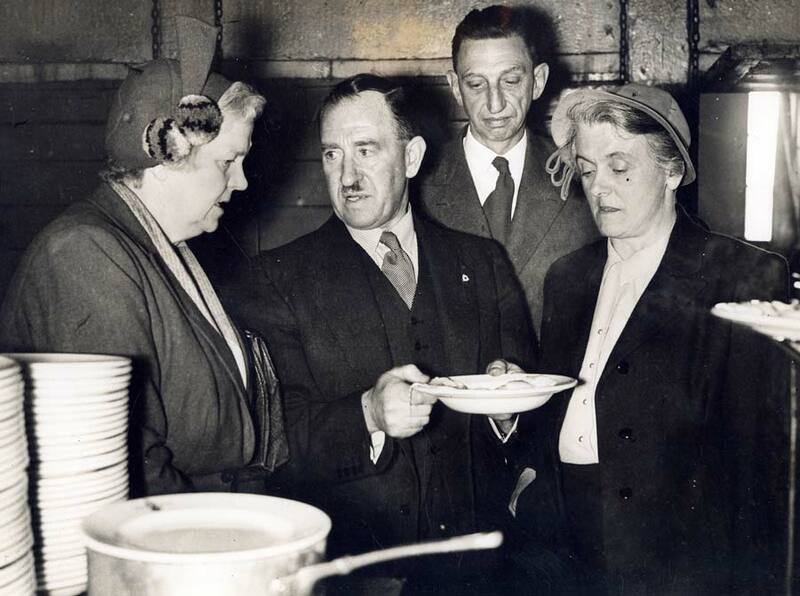 The President’s wife, Todd Andrews, and Chief Accountant Biddy Flynn inspect the food. 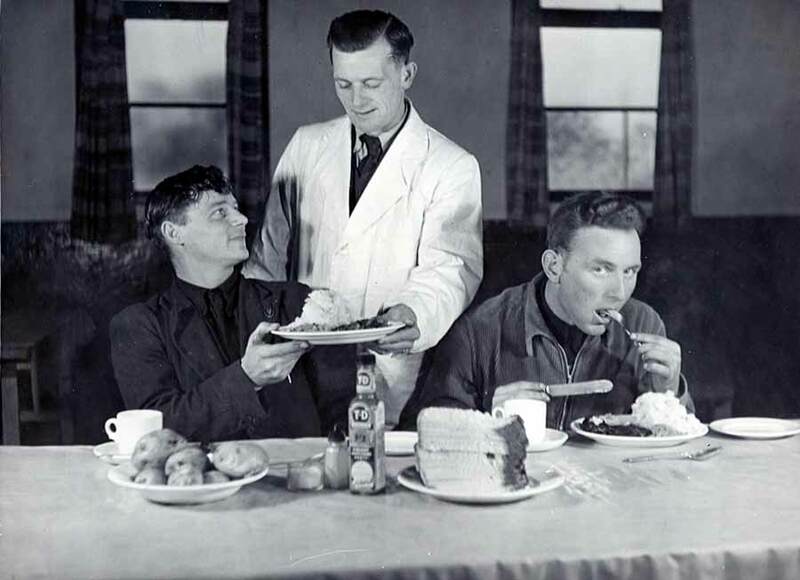 The Turf Development Board employed 28 cooks and 12 senior kitchen hands. 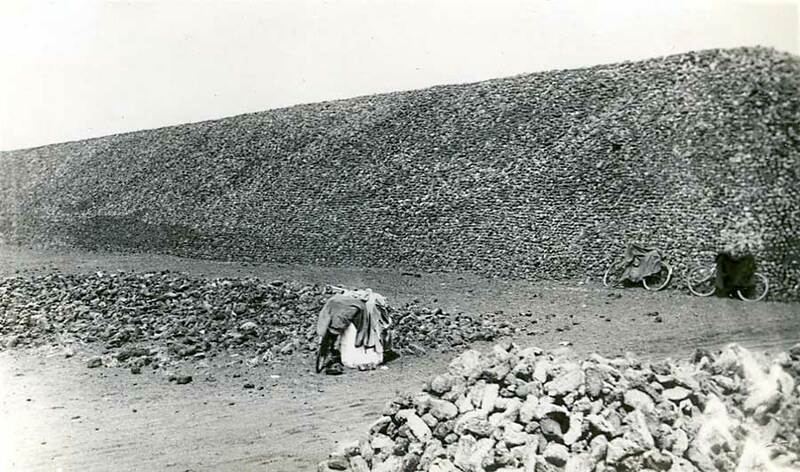 During the harvest period the staff produced three meals daily for the 4,000 workers. 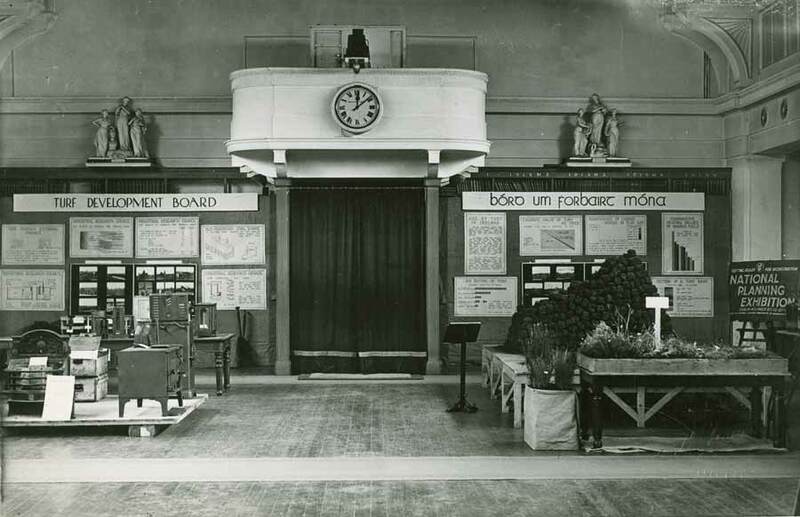 The Turf Development Board exhibited its products and fuel appliances at the National Planning Exhibition in 1943. The disc ditcher was first suggested by Griffith Owens at Lullymore and built by Garretts of the UK. 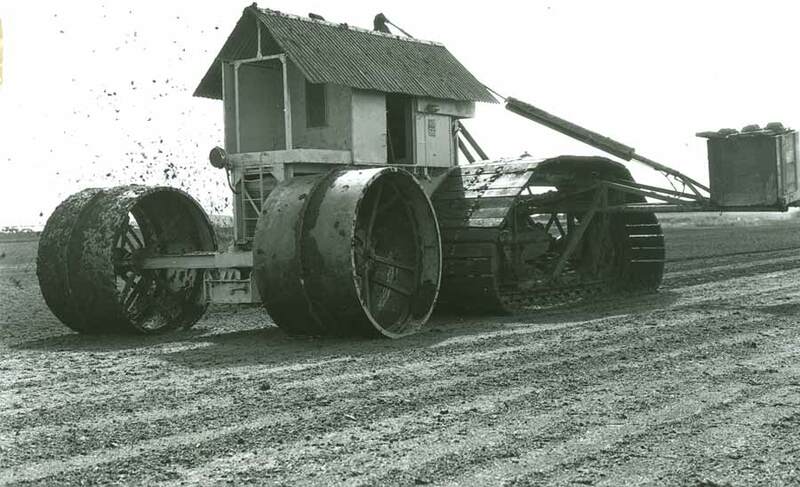 Garretts redesigned the machines for milled peat production during the 1940’s. 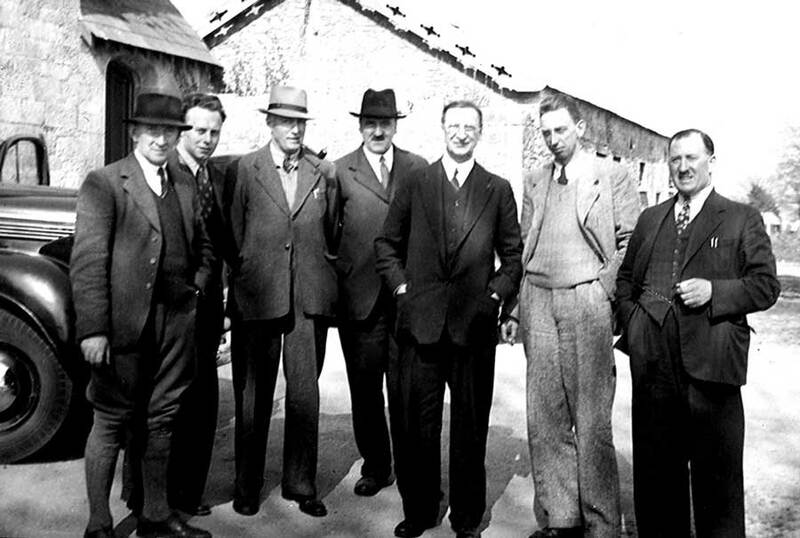 When Bord na Móna began its post-war plan of expansion it set up a research department under the name of Experimental Station at Newbridge, Co.Kildare. During the Emergency a lot of the turf supplied to Dublin tended to be wet. 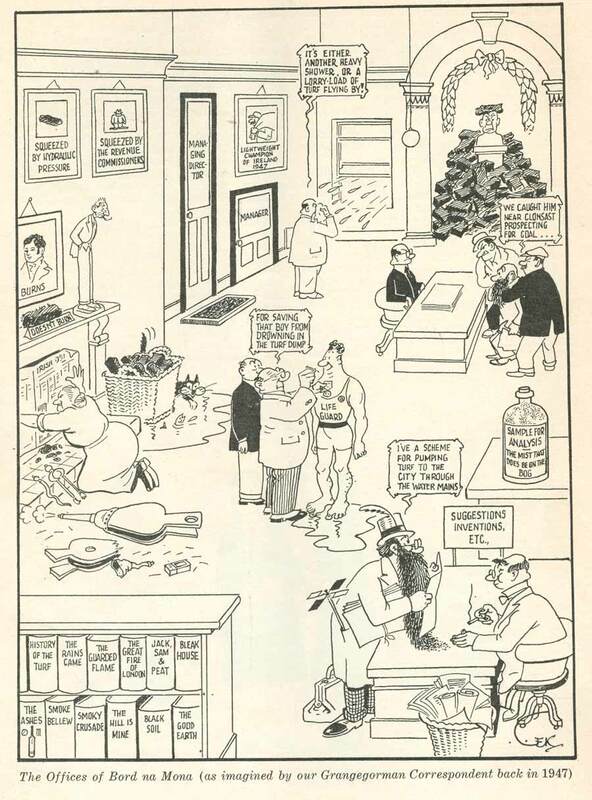 The cartoon shows the feelings of Dubs towards turf.